As Sol BVI endeavours to improve on the level of customer service offered, we are proud to announce this month’s winners of the Sol Excellence ‘What’s Your Customer Story’ programme. 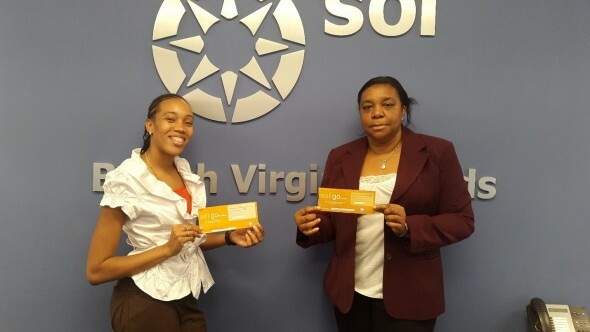 Congratulations to Collin Stevens, Binu Benziger, Jackqueline Hyman and Sharona Pickering the proud winners of Sol ‘Go Further’ fuel! How does the Sol Excellence ‘What’s Your Customer Story’ work? At our three Sol Service Stations, Botanic Service Station and Round-A-bout Service Station on Tortola and Enchantment Service Station on Virgin Gorda, customers receive our Sol Excellence ‘What’s Your Customer Story’ wallet card which provides them with information for completing our online customer service feedback survey. At www.solpetroleum.com/feedback, customers share their stories about their service experience and are entered into a drawing for a chance to win one of our monthly prizes of free fuel. “We've received some amazing feedback and we extend heartfelt thanks to everyone who has participated thus far. This is an ongoing campaign and it’s possible that you can be the next lucky winner. So on your next visit to any Sol Service Station, let us know what your experience was at www.solpetroleum.com/feedback,” said Elton Callwood, Sales/Marketing Representative, Sol BVI.